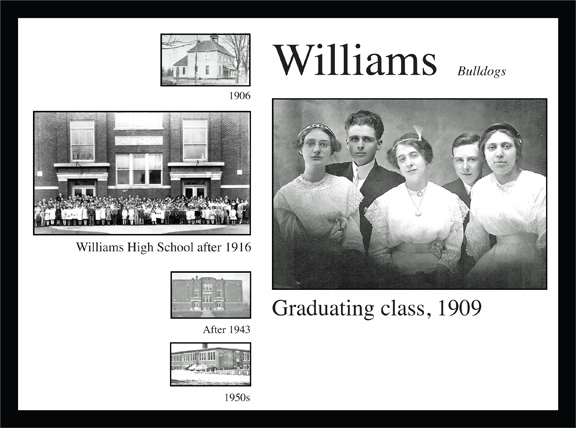 This museum gallery exhibit represents an early Lawrence County schoolroom. The wheel came from the bell tower at Central School. The maps were from the Springville School. At the beginning of the day, students recited the pledge of allegiance in front of an American flag such as the one shown in the corner. 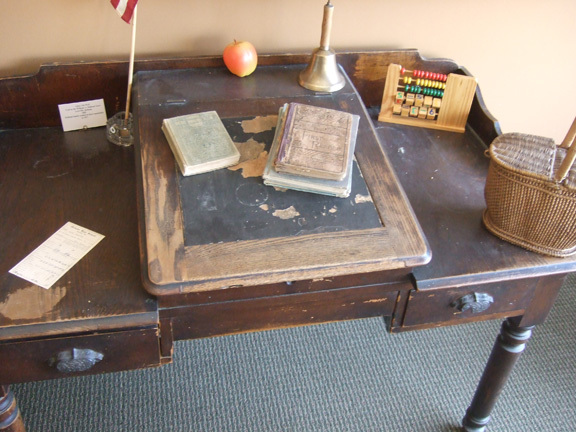 The teacher's desk was used in Bedford High School by Mrs. Hockersmith. The abacus is a reproduction of similar tools used to help students learn to count. A school bell on the desk would have been wrung to bring students to attention. The glass inkwell stored ink for the teacher to use. 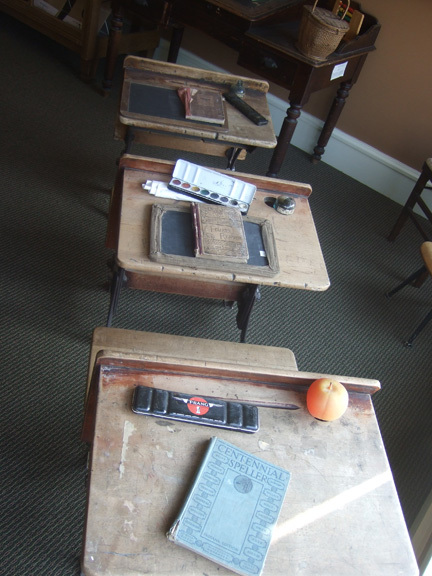 In early schools, students used slates and chalk to practice writing and arithmetic. During the 1950s, the Prang watercolor boxes were used during art class. The chalkboard was hung at the front of the room, and students would be asked to come to the board and write the answers to questions in the related subject in which they were learning. Sets of roll-down maps were hung on the wall in the front of the room. During geography class, the specific map would be rolled down so students could study them. 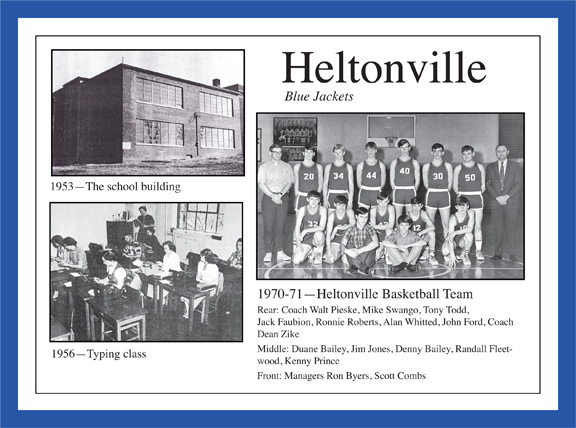 This map set was used at the Springville School. For members of the community who wish to exhibit items of public interest, the school exhibit can be made available to individuals, groups and organizations. Contact museum president, Rowena Cross_Najafi or a museum staff member to arrange to use this traveling exhibit. This traveling exhibit was created by museum intern, Kalvin Burris, and museum volunteer, Becky Buher. Image board printing was donated by Johnny's Signs.